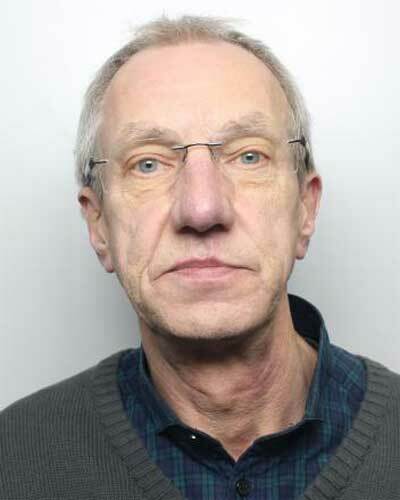 A man has been jailed after he installed a camera at work to watch female colleagues using the toilet, following years of secretly filming up the skirts of hundreds of women in public for his own sexual gratification. Roger William Marsh, 65, of Park Lane Bottom in Cowling, north Yorkshire, was described as "manipulative" and "predatory" by a judge on Tuesday. Marsh’s unusual activities came to light after he was caught using a camera strapped with Velcro to his shoe in the Ikea shop at Birstall, near Bradford, on November 29 last year. Mehran Nassiri, prosecuting, told Leeds Crown Court a man shopping with his wife noticed Marsh acting oddly because of the strange position he was standing near to her, and when he saw something flash on his shoe, he bent down and spotted the camera. He grabbed hold of it and challenged Marsh, saying: “What the hell is this?” Marsh denied any wrongdoing saying: “It’s not what you think”. But he was found to have been filming up her skirt. She was distressed when she realised what he had been doing and the police were called. Marsh’s details were taken and, later that day, his home, then in Halifax, was searched and computers and hard-drives were seized. He also had two screens in his bedroom showing footage of a woman using the toilet. Marsh was interviewed and not only admitted filming up the shopper’s skirt in Ikea but doing the same to other women. Mr Nassiri said: “He said he had been doing this act for ten years.” Marsh admitted going to public places where he could film women, either using a camera in a shopping bag or attached to his shoe. He also admitted for the previous 18 months he had been secretly filming some female staff at work in Brighouse at a firm where he had been employed for 35 years. He said he would set up the camera to record 35 to 40 minutes prior to staff leaving the workplace for the day because that was the busiest time for using the toilets. The footage was then downloaded later at home for his own enjoyment. Mr Nassiri said police found 709,376 images and videos, of which only a sample was reviewed. He said 1,653 live files of a voyeuristic nature were recovered, including some footage of a neighbour in a state of undress, taken through a window. They also recovered 9,547 indecent images of children graded at the lowest level C and one video at level B, which had been downloaded between December 2011 and February 2012.